The Everett Giants exploded for 23 runs in this August 1987 contest and Mike Owens did his part to get them there. Owens cracked two home runs on this night and knocked in six runs, according to MiLB.com. 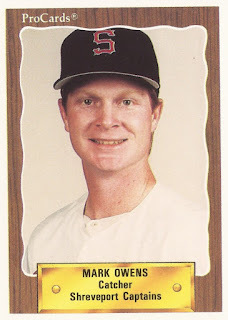 Owens hit a total of 16 home runs that year for Everett. He couldn't better that mark. He went on to play in four seasons and hit a total of 37. He made AAA, but he didn't make the majors. Owens' career began that year in 1987, taken by the Giants in the 19th round of the draft out of the University of Hawaii at Manoa. Owens is also credited as Markus Owens. At Hawaii, Owens had a .624 slugging percentage in 1986, still eighth all-time at the school. He hit 20 home runs over his career there, tied for seventh all-time. Owens got into 65 games that first season at Everett. He hit .357 over that time, knocking in 54 runs and making the Northwest League All-Star team. 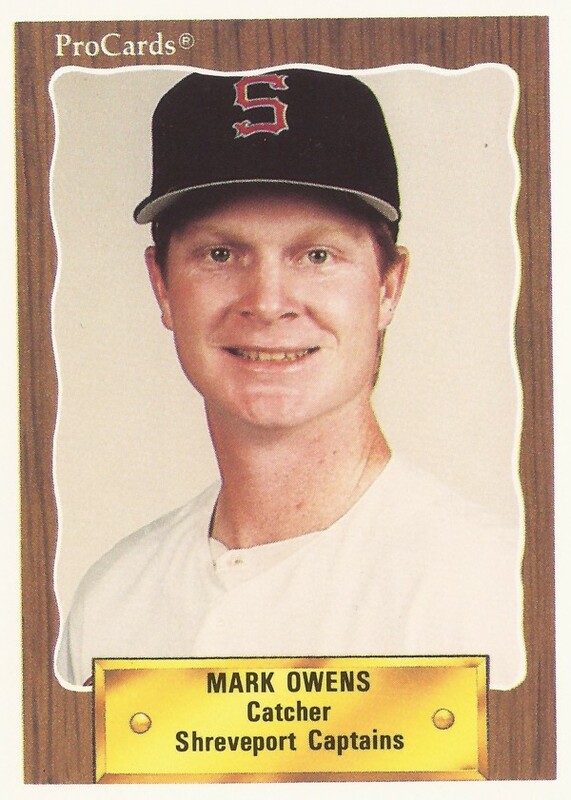 In another August 1987 game, Owens hit a three-run home run helped Everett rally to a win. He moved to single-A Clinton for 1988, hitting .262, with 12 home runs and 68 RBI. He then made AA Shreveport, hitting seven home runs, including a three-run shot to help win a July game. Owens returned to Shreveport for 1990, getting into 55 games. He also saw AAA Phoenix for 11 games. He hit .205 between them, with two home runs, ending his career.